Congratulations on your admission to George Mason University! We are thrilled to welcome you to the Mason Nation. You'll start to feel a part of Mason Nation when you attend Freshmen Orientation. Find out what you need to do and what you'll want to do during this introduction to Patriot life. Students cheer during a soccer match. The university has a variety of teams that you can support and join, or you can choose to get your sport on at the recreation and aquatic centers, and the Hub, with its games, pool tables, and big-screen TVs. Undergraduate Biology students work in the lab in Planetary Hall on the Fairfax Campus. Mason's classrooms and labs offer state-of-the-art equipment and facilities. Dennis Layendecker, Director of the School of Music, conducts a rehearsal in a music class in the deLaski Performing Arts Building. Mason has a variety of arts venues to see and hear live entertainment, and many offer free tickets to students. Everyone turns out for a fun time at Mason Day every spring, which features musical acts, amusement park rides, face painting, caricature artists, and festival food. The colorful parade of flags is just one part of our annual International Week. Mason students from around the globe showcase their countries with a dance competition and culture nights. 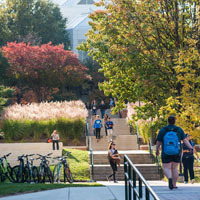 Mason students graduate in the spring, summer and fall. Attend one of these ceremonies to experience the excitement and get a glimpse of what lies ahead for you. The Mason Indian Student Association sponsors Holi Moli, with participants celebrating the Hindu festival Holi by throwing colorful powder. The Mason community is invited to participate. When you turn out to support the Patriots on the courts at Eagle Bank Arena, you'll get the added treat of hearing Doc Nix lead the Green Machine, named the nation's Top Pep Band. Following are the steps and important information you'll need to prepare for your future at Mason. If you have any questions your Admissions Counselor is ready to help! To confirm your intent to enroll, a deposit of $250 USD is required by the national deposit deadline of May 1, at 11:59 p.m. ET. Please note that to reserve a spot in the residence halls, the housing deposit of $300 must be submitted at the same time as the enrollment deposit (for a total of $550). Housing will be provided on a first come, first served basis, so you are encouraged to submit your $550 deposit as soon as possible. To confirm your intent to enroll, a deposit of $250 USD is required by December 1, at 11:59 p.m. ET. Please note that to reserve a spot in the residence halls, the housing deposit of $300 must be submitted at the same time as the enrollment deposit (for a total of $550). Housing will be provided on a first come, first served basis, so you are encouraged to submit your $550 deposit as soon as possible. Enrollment deposits may be submitted online. After submitting your deposit, you will receive an email within 24 to 48 hours with further instructions on how to claim and create your Patriot Pass account through http://password.gmu.edu. Select the first option: "To activate your Patriot Pass account..." and follow the instructions to create a secure password. You will need a CLAIM CODE which is your 6 digit birthdate as MMDDYY (ex: July 6, 1996 would be 070696). If you have difficulty registering your account, contact ITS Support Center at 703-993-8870. Mason boasts one of the most modern and largest residential campuses in the Commonwealth of Virginia, and on-campus housing is required for all newly admitted freshmen unless one of the exemptions is met. ALL freshmen must apply for on-campus housing or an exemption. To apply for on-campus housing, the housing application and $300 USD housing deposit are required by May 1. 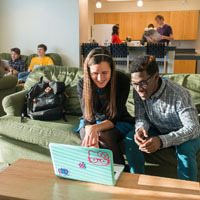 Housing applications are available online through Housing and Residence Life. Applications are processed in the order in which they are received, so it is important to apply as early as possible. Housing deposits and applications received after May 1 will be considered on a space-available basis only. Important messages will begin coming to you via your Masonlive email account. Please follow the 1st Login Instructions to get started. Be sure to check your messages often for vital enrollment information. If you haven’t done so yet, apply for financial aid. FAFSA applications are available now and should be submitted as soon as possible, if you have not done so already. The priority deadline for FAFSA submission is March 1. The FAFSA is available online at www.fafsa.gov. George Mason University’s Title IV school code for the FAFSA is 003749. In addition, please fill out the FERPA Consent to Release Student Information form if you would like to allow your parent(s) or guardian to speak directly with the Office of Financial Aid. You can find this form at registrar.gmu.edu/forms. Need help? Students may contact their assigned Financial Aid Counselor via email or call the Financial Aid Office at 703-993-2353. Additional financial aid information can be found on the Office of Student Financial Aid website at financialaid.gmu.edu. New Student Orientation, held in the summer, is required of all new freshmen. During orientation, you will meet your advisor and register for courses, learn about academic and student life opportunities, and get to know your fellow classmates. Registration becomes available on March 15. You can register for orientation only after submitting your enrollment deposit, and registration for more popular orientation dates is limited, and is done on a first-come, first-served basis. If you have questions contact the Office of Orientation and Family Programs and Services. The admitted student community is a private app that allows students to have honest conversations and make real connections before stepping foot on campus. If you’re looking for an easy way to meet other potential George Mason students, ask questions, and learn about information for admitted students, this is the place for you. For students admitted during the Early Action deadline, you will receive an email in mid-January that will invite you to join the community. Request your final high school transcript reflecting your graduation date to be sent to the Office of Admissions. Do not forget about this important requirement! Failure to submit a final high school transcript which indicates both your final GPA and a graduation date will result in a hold being placed on your account. Virginia law requires all admitted university students to submit immunization documentation. A hold will be placed on your account and a late fee assessed if you do not submit your complete immunization records by the posted deadline. Please visit Student Health Services to obtain critical information and mandatory immunization forms. Your completed immunization form should be sent directly to Student Health Services. If you have trouble accessing the website, please contact Student Health Services at 703-993-2135 or immunize@gmu.edu. Admitted transfer students are required to submit a $250.00 enrollment deposit by June 15 to accept fall admission or December 1 to accept spring admission. Deposits are non-refundable after these dates. Online enrollment deposits may be paid with MasterCard, VISA or personal check. Note: When using the online deposit form, please be sure to enter your full, nine character G-Number, including the upper-case 'G' as well as any leading zeros. Example: G00123456. Claim and create your Patriot Pass account through http://password.gmu.edu. Select the first option: "To activate your Patriot Pass account..." and follow the instructions to create a secure password. You will need a CLAIM CODE which is your 6 digit birthdate as MMDDYY (ex: July 6, 1996 would be 070696). If you have difficulty registering your account, contact ITS Support Center at 703-993-8870. If you haven’t done so yet, apply for financial aid. FAFSA applications can be submitted after October 1, and should be completed no later than March 1 for priority consideration of limited grant funds. The FAFSA is available online at www.fafsa.gov. George Mason University’s Title IV school code for the FAFSA is 003749. On-campus housing is not guaranteed for transfer students. If interested, you are encouraged to apply for housing immediately after you submit your enrollment deposit. If housing is available you will receive an assignment offer and will need to send a non-refundable $300 housing deposit immediately to secure the offer. Transfer Orientation is required of all new transfer students. During orientation you will meet your academic advisor and discuss your goals, establish your graduation plan and register for classes. You’ll also learn about academic and student life opportunities, and get to know your fellow classmates. You can register for orientation only after submitting your enrollment deposit. If you have questions contact the Office of Orientation and Family Programs and Services. Please submit your final transcripts to the Office of Admissions. Failure to submit transcripts will result in a registration hold being placed on your account. We invite you to like, connect, and follow Mason's Office of Admissions on your favorite social media sites. By connecting with us over social media you'll be able to stay up-to-date with all of the exciting news we share, from events to current student spotlights and photos from around campus. We invite you to share your big news with the #ChooseMason hashtag in all of your posts. Following are the steps and important information you will need to prepare for your future as a graduate student at George Mason University. This list is for all graduate students, regardless of your graduate program. Please ensure you also review the checklists provided by your specific college or school for any program-specific items you may need to complete. We recommend you submit these transcripts as soon as possible upon admission. A registration hold will be placed on your student record on the day immediately after the last day to drop courses in your first enrolled semester. This hold will prevent any further course registrations and will not allow for your degree to be conferred when you apply to graduate. For details on submission, please see the notice below that applies to you. Please note all items submitted become university property and will not be returned. If you want to have a set for yourself to keep, we recommend asking your university to give you a second (or attested) copy of these documents. Below we have outlined the transcript requirements and submission process based on where your degree was earned. *While official transcripts for either your bachelor’s degree or master’s degree is the formal requirement for the audit process, there are some cases in which we may request alternate documents. If you are unsure whether what you plan to submit will meet the requirements of the audit, please contact our Graduate Admissions Office at masongrad@gmu.edu for clarification. It is the student’s responsibility to ensure that they submit the appropriate documents to complete the audit process. No additional steps are required. The admissions office will verify your graduation using Patriot Web after the start of classes. Please note that your graduate admission is dependent on conferral of your Bachelor’s degree. If your undergraduate degree has not been conferred by the last day to add classes in your first semester, your offer of admission will be rescinded and you will be withdrawn from graduate classes. You may submit your final transcripts electronically or via postal mail. Please contact your previous institution(s) or university registrar for more information. Many colleges and universities are able to send official electronic transcripts using secure encryption services such as Parchment or National Student Clearinghouse. Following their directions for submission, please have the transcripts sent to ugtrans@gmu.edu. Our office does not accept scanned or emailed copies sent by students or by individuals employed within the universities. In order to be considered official, transcripts must be sent electronically to ugtrans@gmu.edu using official channels as previously outlined. Please contact your previous institution(s) and have transcripts sent to the address below, exactly as it is written. Only transcripts submitted in sealed, university issued envelopes are acceptable. Please request official copies of the items below from your previous institution(s) and have them sent to the address below, exactly as it is written. Only transcripts submitted in a sealed, university issued envelope are acceptable. All documents submitted must also include the stamp/seal of the university. We will also accept sealed official attested copies¹ from your university or embassy. All official individual mark sheets, including your seventh & eighth semesters, issued by the degree-granting university, not the affiliated college². Consolidated mark sheets showing all passing grades from your entire undergraduate program, issued by your university, not the affiliated college². Diploma or degree certificate issued directly from your degree-granting university, not the affiliated college². Please note that a provisional degree certificate will not be accepted. ¹Attested copies are copies that organizations create of official original documents. We will accept copies of documents attested by the university issuing the original transcripts or by the student’s embassy. Universities and embassies typically use an attestation stamp or include a seal in order for the recipient to be able to verify that they have truly been issued by an authorized source within their organization. Copies of transcripts submitted without this official stamp or seal cannot be accepted as official. Attested copies must be submitted in a sealed envelope issued by the organization/institution providing the attestation. ²If the university issuing the transcripts is also an autonomous university, the documents will be accepted and considered official. Documents issued by affiliated colleges will not be accepted to fulfill audit requirements. Please request official copies of the items below from your previous institution(s) and have them sent to the address below, exactly as it is written. Only transcripts submitted in a sealed, university issued envelope are acceptable. We will also accept sealed official attested copies¹ from your university or embassy. 2. Diploma(s) in English AND the original language of study. These documents must include your degree conferral date and the name of the degree that was awarded. Although some institutions use English as the mode of instruction and issue transcripts in English, if your institution does issue documents in another language, then we will require them. If you are unsure whether the documents you plan to submit will fulfill audit requirements, please contact our Graduate Admissions Office at masongrad@gmu.edu. The Office of Graduate Admissions does not issue the I-20 for graduate study in the US. For questions related to your I-20, please contact the Office of International Programs and Services. If you previously attended or applied to Mason, you may have a hold on your account for submission of documents, parking, library fines, etc. You can determine whether you have an admissions hold by logging onto the Patriot Web after you responded to our offer of admission. 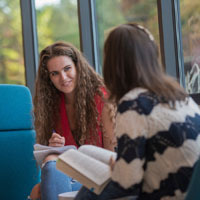 Students and applicants are responsible for resolving holds. Failure to resolve holds may result in registration holds, as well as carrying financial ramifications. Important messages will begin coming to you via your Mason Live email account. Please follow the 1st Login Instructions to get started. Be sure to check your messages often for vital enrollment information. Once you have indicated that you plan to accept our offer of admission, and receive confirmation of your ability to enroll, you will typically gain access to the Mason Self-Service system, Patriot Web, within 1-2 business days. In most cases, the registration process is self-managed by the student in Patriot Web. There are some colleges, such as the School of Business for example, that may require additional steps or approvals for registration or will complete registration on your behalf. Please confirm your process in your decision letter. To begin the registration, process, please visit the University Registrar’s website for directions. The Schedule of Classes is in Patriot Web under the Student Services tab. Specific course descriptions can be found in the university catalog. Please check the academic calendar for semester start dates and important deadlines. Mason requires parking permits for all students to park on campus. For more information on how to get this pass, please visit Parking Services. Your academic unit or program will be following up with you via email to invite you to your new graduate orientation, if one is held. Please plan to attend to meet your fellow graduate students, your faculty, and the administrative staff who will be helping you throughout your program. 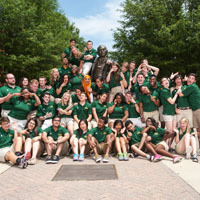 For the full list of upcoming orientations, please visit https://gradlife.gmu.edu/graduate-student-orientations/. Now that you are a graduate student, begin getting involved on campus and meeting other graduate students from around the university. Visit our Office of Graduate Student Life to learn more about upcoming events and activities specifically for graduate students. 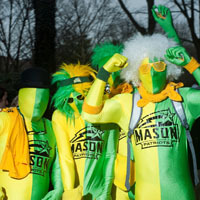 Admitted non-degree students will need to establish a Mason email account by visiting http://masonlive.gmu.edu. This is required as all official university communications will be sent to your Mason email. Please follow the 1st Login Instructions to get started. Next you will want to register for your courses through PatriotWeb at http://patriotweb.gmu.edu. If your course requires a pre-requisite, contact the department which offers the course to request a course override. The department may require a copy of your unofficial transcript or a syllabus to demonstrate that you have met the pre-requisite requirement. 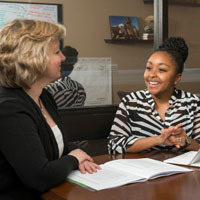 The University Registrar's website http://registrar.gmu.edu/students/registration/ provides a wealth of information for new non-degree students. Lastly, you will want to make sure that you have paid for your course(s). Information regarding payments and third party billing is available at: http://studentaccounts.gmu.edu. The Office of Student Accounts may also be reached for questions at 703-993-2484. Your Mason ID card will only be issued once you've registered for classes. Go to the Mason Card Office for more information. The card is used for library privileges, debit (if you sign up for a meal plan or Mason Money), free rides on the CUE bus, and more. You're now officially a Mason PATRIOT! We invite you to like, connect, and follow Mason's Office of Admissions on your favorite social media sites. By connecting with us over social media you'll be able to stay up-to-date with all of the exciting news we share, from events to current student spotlights and photos from around campus. Those admitted as non-degree senior citizen students to Mason do not have to reapply to non-degree enrollment after each term. However, if you are not enrolled in two consecutive semesters (i.e. 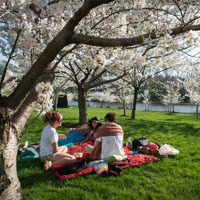 spring, fall), you will then need to contact the registrar. For information regarding Mason’s senior citizen tuition waiver please visit the registrar’s website here: http://registrar.gmu.edu/topics/senior-citizen-waiver/ . Those students admitted as non-degree to Mason and participating in Mason’s ROTC program are limited to taking 2 credit hours per semester. Those students admitted as non-degree regular high school dual enrollment to Mason are limited to taking 4 credit hours per semester.